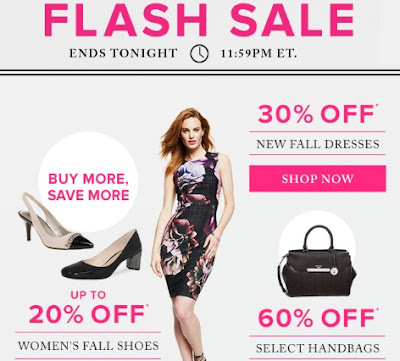 Hudson's Bay has a Flash Sale today on lots of items! Save 60% off Handbags, 30% Off Dresses, Up To 20% Off Women's Fall Shoes! Offer ends Wednesday, September 14 at 11:59pm ET. Online only. Check out our earlier post too about the $15 off Fashion Promo Code here.